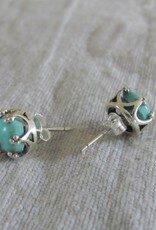 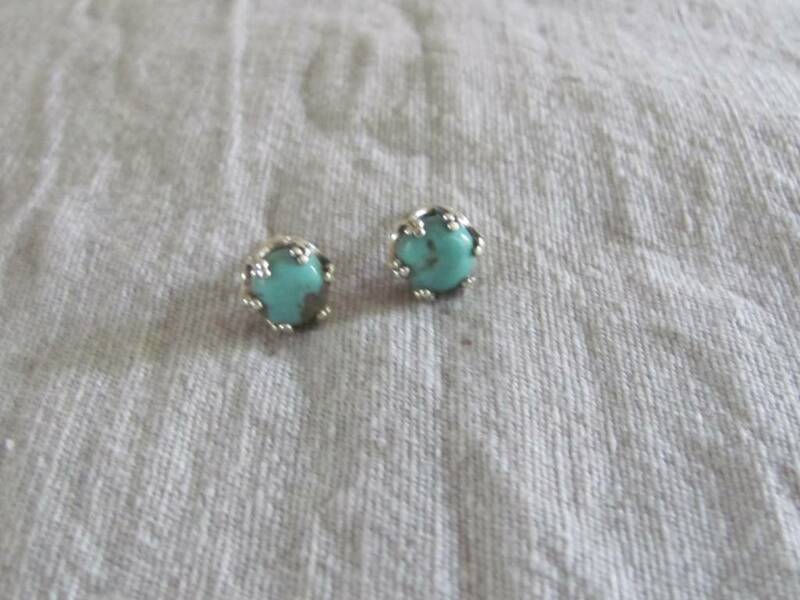 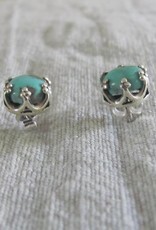 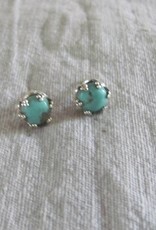 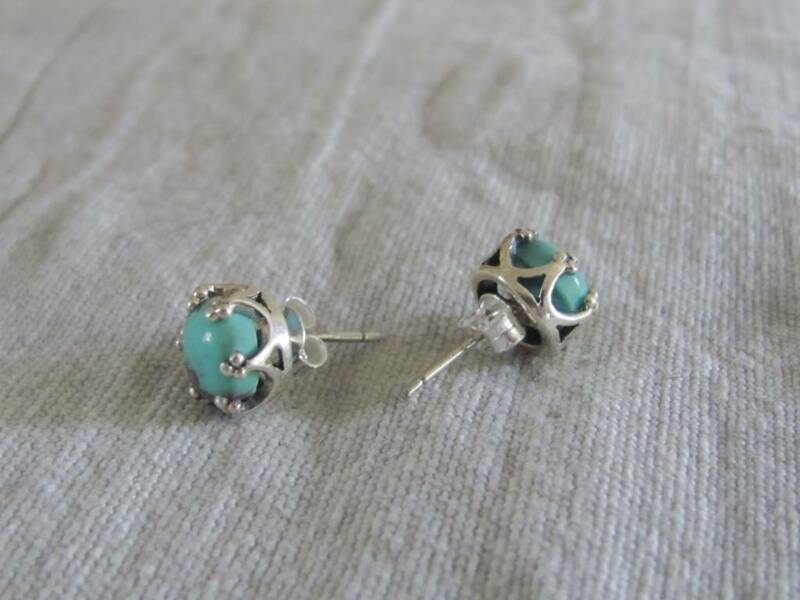 Very nice silver stud oorbel with an Iranian turquoise cabouchon stone. 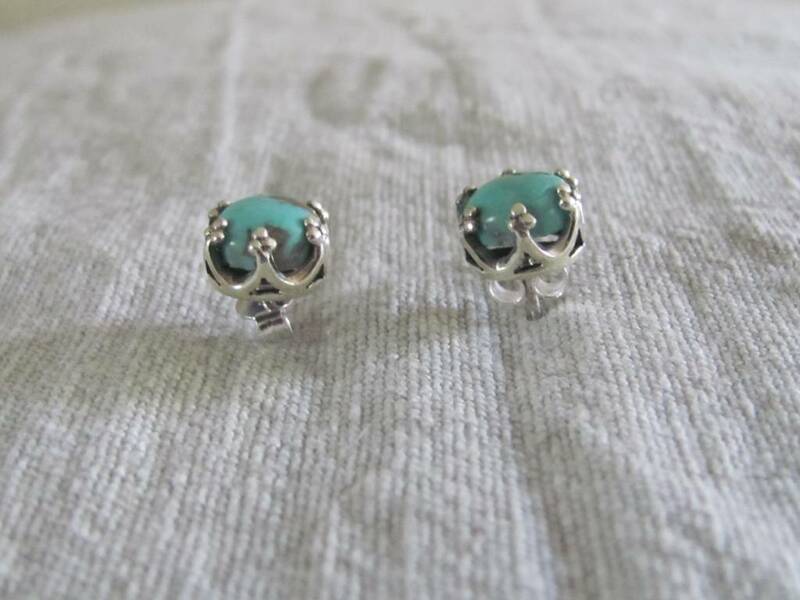 The turquoise is real not pressed turquoise powder from China! 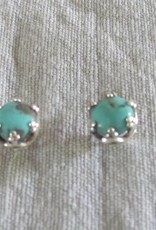 Nice cut work on the silver setting. 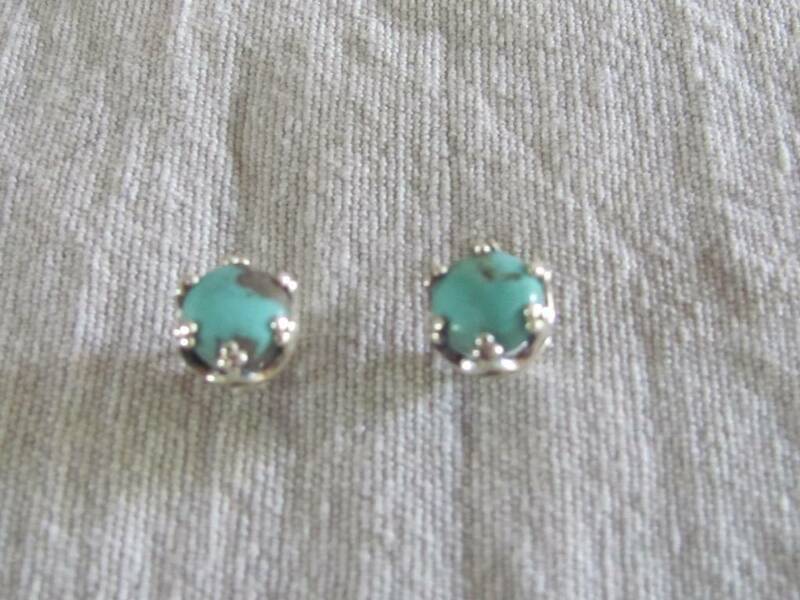 0,90 cm excluding the ear stud.